Vapour2 are a big name in the vaping industry. They’re well-known for their innovation and solid products, and they’ve collaborated with XEO, a German company, to bring you the XEO Void vaporizer. An ideal vape for e liquid and shisha. With its 1,500 mAh battery, solid portable looks and choices of colours, it seems like this is no exception to Vapour2’s exceptional lineup of quality vaping products. Not quite the renowned flagship Pro 3X vape pen but the Void has a lower entry price. Is the German-designed vape pen good enough to stand up to the competition? Let’s find out. To start with, the XEO Void vape pen looks absolutely stunning. It’s got an appearance which is similar to other vape pens, but there are some subtle differences that add a lot to the overall experience. For starters, the design of the pen is slightly triangular. This means that it’s more comfortable to hold and won’t roll off a table or a surface. The fire button is easy to reach and there’s only a small XEO logo on the body itself. It has a childproof lock too which I think is an important feature. The e liquid tank is not a separate tank like most devices, it is integrated into the body of the pen so you only need to replace coils, ie. you don’t have to fork out for new tank at any time. There is also a neat airflow control that allows you to customise the inhale resistance when you vape. The solid form factor also gives it protection from leaking, which is perfect if you plan to take the vaporizer out on the go. 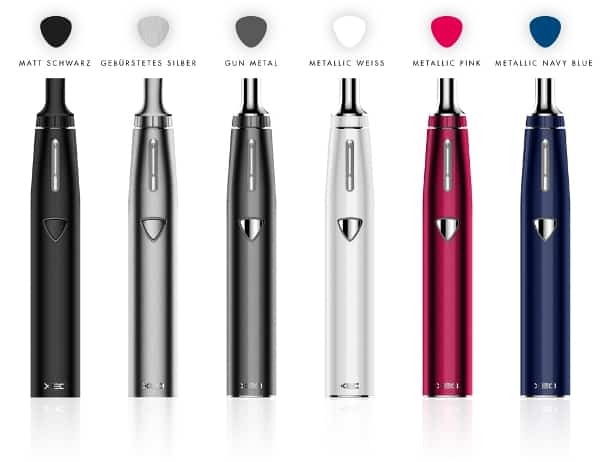 The XE Void vape pen comes in 6 different colours: gunmetal grey, black, burst silver, white, pink and navy blue. This gives you a level of personalisation that many other companies don’t offer. Whether you want a sleek and stylish dark colour, or if you want to be more expressive with the pink and blue options, there’s something for everyone. The fact it comes in a handy kit and in different colours makes it a great gift option as well. The kit itself comes with the vaporizer, two coils (0.6 ohms and 1 ohm) and a micro USB charging cable. It also comes with a handy instruction manual, so it’s good to go assuming you already have some e-liquid. Vapour production with the 0.6-ohm coil is fantastic and it’s almost on-par with more expensive sub-ohm options. It might not be the best choice for specialist vapers, but it gets the job done and is a fantastic introduction to the more advanced vaping techniques. One of the best selling points of the XEO Void vape pen is the option of 1-ohm mouth-to-lung vaping (standard vape mode) and 0.6-ohm direct-to-lung vaping (sub ohm vape mode). The two interchangeable options make it a fantastic all-in-one device. 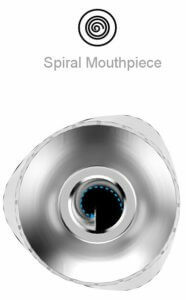 It also has an internal spiral designed within the mouth piece. I am unclear what advantage this might have but the Germans wouldn’t put it there for no reason! 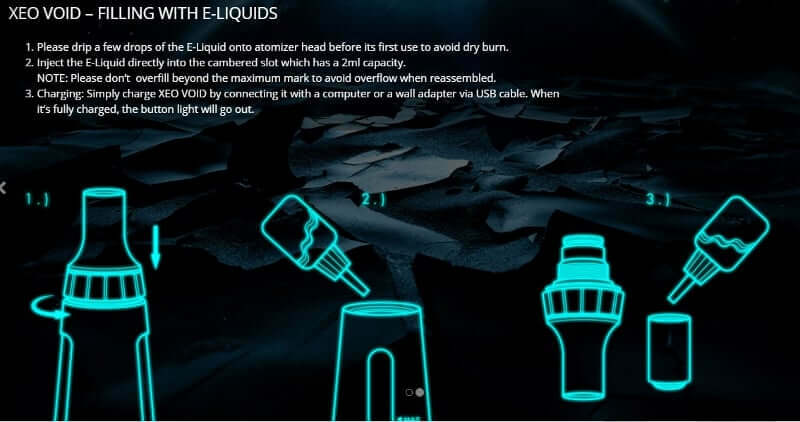 This is what makes the XEO Void vape pen such an appealing option for beginners. 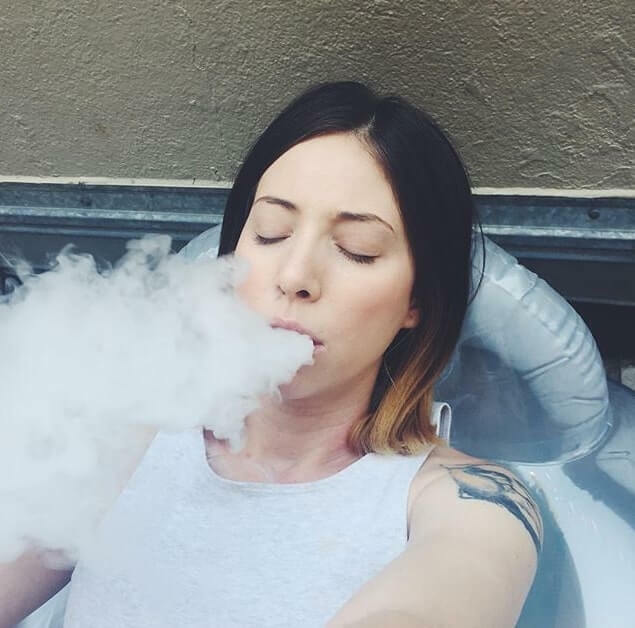 You’ll get to try out various types of vaping with a single vaporizer and you don’t need to pay extra for accessories, new tanks or another pen. The battery is rated at 1,500 mAh, meaning it’s not the biggest in the industry but it certainly does provide you with a lot of use. If you use it heavily, then it will definitely last an entire day. If you use it less frequently, then you could get a couple of day’s worth of use or even an entire week. With the supplied micro USB cable, it’s easy to top-up and you’ll never find yourself running out of power. This is an exceptionally well made German designed vaporizer. It will last you a long time and is a great substitute for smoking! It is very practical and has additional safety features that other vape pens don’t have. The air inflow adjustment is a little difficult to get used to and perhaps does not have as wide a spectrum of adjustment that some may desire. For new vapers we always suggest using the smaller vape pen devices (see the Slim Line vape pen section here), they just offer a more seamless transition away from smoking. The Xeo like the Pro 3 range are larger devices. The Pro 3x is an overall better solution for vaping primarily because it is more versatile. But at the price the Void is a very, very good buy. If you’re looking for a high quality vape pen with both sub ohm and standard functionality, then the XEO Void should certainly be on your shortlist. Definitely a top 10 e cigarette. You’ll love the reliable German design and also the sub-ohm vaping compatibility, something that’s not exactly common in this price range. It makes great use of the e-liquid by providing some fantastic flavours, and you’ll be surprised at how versatile it is if you want to switch from direct-to-lung vaping and mouth-to-lung vaping. The battery lasts pretty long which is great if you don’t want to charge it all the time. However, if you are worried about the battery, then charging the device with the supplied micro USB cable is convenient. If you’re new to the world of vaping, then the XEO Void is a great introduction that will give you a taste of what to expect from more specialised models. If you just need something to vape on-the-go, such as when you go to work or out with your friends, then the XEO Void is a lightweight and portable solution that is bolstered by the fact that it’s leak-free. For such a small pen, it produces some great clouds and the 2ml tank is enough for most day-vapers.